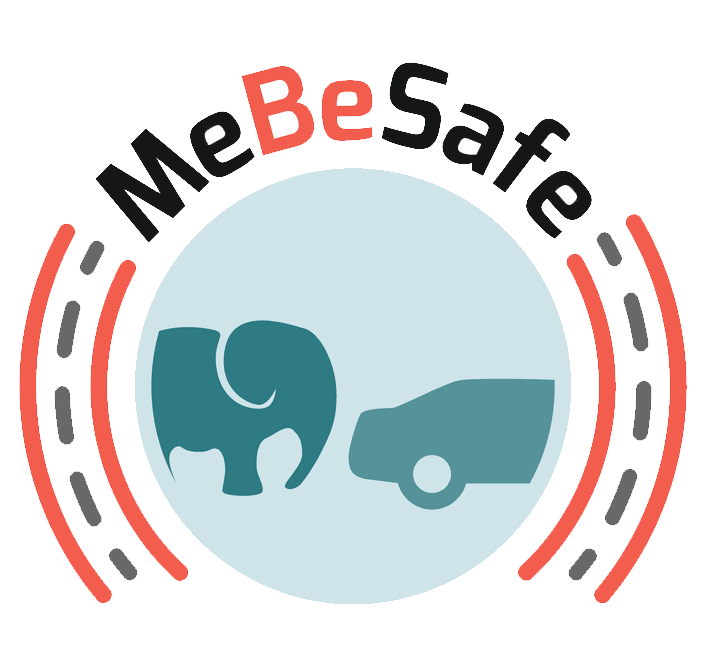 The types of interventions to be developed and implemented in the MeBeSafe project include nudging and coaching. The report presents a new and integrated framework. On the basis of a typification of nudging and coaching respectively, the assumed underlying system of thinking (i.e. 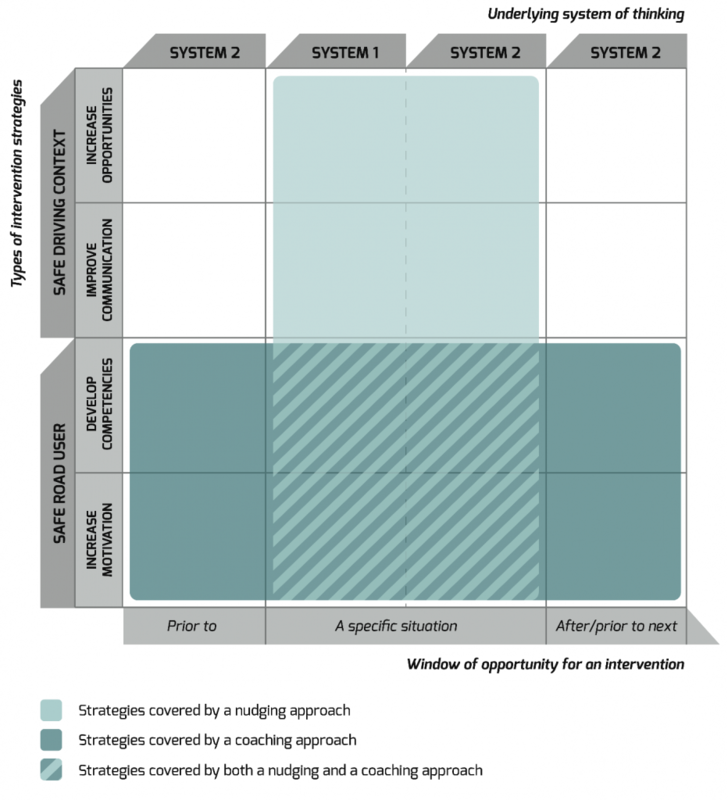 System 1 or System 2) and types of intervention strategies, an integrated model has been proposed. System 1 thinking is fast and operates automatically, with little or no effort and no sense of voluntary control. System 2 thinking, on the other hand, is slow and allocates attention to the effortful mental activities that demand it. The report also provides a literature study of underlying, fundamental theories and models of relevance for further understanding road user behaviour. Based on these, implications for coaching and nudging interventions have been formulated. In addition, an inventory is presented of road user characteristics that need to be considered in developing as well as when evaluating the interventions to be developed. General characteristics include, for example age, gender and experience but also personality traits, attitudes and intentions should be considered. To support the further and more detailed design of interventions, the report formulates design considerations in the shape of questions to be addressed in different stages when development moves from a conceptual level to more detailed designs. The full report can be found under results.